Best Lawyers® publishes its annual list of outstanding attorneys based on peer-review surveys. Those awarded “Lawyer of the Year” receive the highest overall peer feedback for a specific practice area and geographic region, according to the Best Lawyers® methodology for naming Lawyers of the Year. In addition, Partners Paul F. Nichols and Betty Moore Sandler were individually honored as 2018 Best Lawyers® in the family law area of practice for the Washington, D.C. region. Mr. Nichols, Ms. Sandler and Mr. Zauzig have been consistently honored by Best Lawyers® each year. Mr. Zauzig, a specialist in medical malpractice and a frequent national lecturer in medical malpractice, is President of Nichols Zauzig Sandler P.C. and leader of “the crew” in the Zauzig Trial Group. Mr. Zauzig received the same Lawyer of the Year distinction from Best Lawyers® in 2016. In April, he was awarded the Distinguished Service Award by the Virginia Trial Lawyers Association, where he is an active Past President. He also serves on the Board of Governors for the American Association for Justice (AAJ). For his lifelong commitment to the profession of trial law, he was awarded the Southern Trial Lawyers’ Association W. McKinley Smiley, Jr. Award. 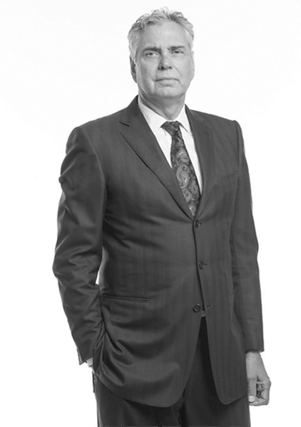 Mr. Zauzig is a fellow with the International Academy of Trial Lawyers and has been named a SuperLawyer since 2006.